One for your scuba diving bucket list, the Bonaire National Marine Park is an unrivalled location for witnessing marine conservation first hand. The park includes 2,700 hectares of reefs and mangroves, which includes all the waters surrounding Bonaire and Klein Bonaire. There are 86 incredible dive sites to choose from in order to see more than 350 fish species and more than 57 different types of coral. 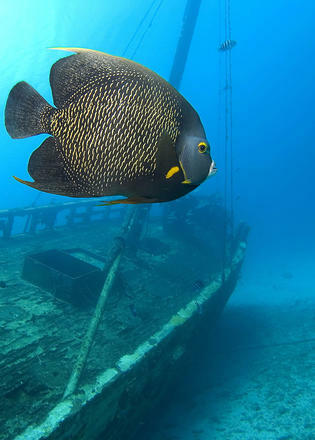 Aside from green and hawksbill turtles, divers can hope to see eagle rays, parrotfish, grunts, groupers, blue tangs, frog fish and butterfly fish among others. Get the full experience by heading under the surface with one of the many dive operators on the island, or else enjoy a spot of snorkelling from the shoreline. Additionally, there are boat tours and eco-friendly water sports available. One for your scuba diving bucket list, the Bonaire National Marine Park is an unrivalled location for witnessing marine conservation first hand. The park includes 2,700 hectares of reefs and mangroves, which includes all the waters surrounding Bonaire and Klein Bonaire. There are 86 incredible dive sites to choose from in order to see more than 350 fish species and more than 57 different types of coral. Aside from green and hawksbill turtles, divers can hope to see eagle rays, parrotfish, grunts, groupers, blue tangs, frog fish and butterfly fish among others. Get the full experience by heading under the surface with one of the many dive operators on the island, or else enjoy a spot of snorkelling from the shoreline. Additionally, there are boat tours and eco-friendly water sports available. Costa Rica has a total of 28 national parks, three of which are UNESCO World Heritage Sites, so nature buffs are spoilt for choice. One of the most popular on the Caribbean coast is the Tortuguero National Park, famed for the vast numbers of sea turtles that come to nest in the area. The park has an intricate tapestry of canals, rivers, beaches and lagoons to explore by boat, canoe or kayak with a local expert, who can guide you through the labyrinth and point out the long list of protected plants and animals living within the Barra de Colorado Wildlife Refuge. Green macaws, jaguar, sharks, caimans and crocodiles all call the lush rainforest their home in addition to the various sea turtle species. Loggerhead, hawksbill, slider, leatherback and green turtles can all be spotted during nesting season, which usually lasts from March to mid-October. Costa Rica has a total of 28 national parks, three of which are UNESCO World Heritage Sites, so nature buffs are spoilt for choice. One of the most popular on the Caribbean coast is the Tortuguero National Park, famed for the vast numbers of sea turtles that come to nest in the area. The park has an intricate tapestry of canals, rivers, beaches and lagoons to explore by boat, canoe or kayak with a local expert, who can guide you through the labyrinth and point out the long list of protected plants and animals living within the Barra de Colorado Wildlife Refuge. Green macaws, jaguar, sharks, caimans and crocodiles all call the lush rainforest their home in addition to the various sea turtle species. Loggerhead, hawksbill, slider, leatherback and green turtles can all be spotted during nesting season, which usually lasts from March to mid-October. Saved from the brink of extinction, the Grand Cayman Blue Iguanas are majestic creatures not to be missed. Visitors can explore the park on foot with a gentle guided safari tour or custom tours can be arranged in advance. Accompanied by one of the two Blue Iguana wardens, the trails allow visitors to see the iguanas in their natural habitat, with no more than one mile of walking. The park’s visitor centre has refreshments available as well as a gift shop. Tickets can be bought from the beautiful Queen Elizabeth II Botanic Park, where visitors can explore a variety of local flora and fauna, including world-famous orchids and incredible indigenous butterflies. 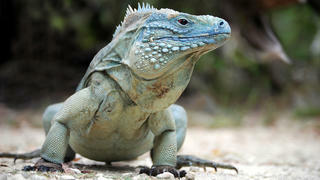 Saved from the brink of extinction, the Grand Cayman Blue Iguanas are majestic creatures not to be missed. Visitors can explore the park on foot with a gentle guided safari tour or custom tours can be arranged in advance. Accompanied by one of the two Blue Iguana wardens, the trails allow visitors to see the iguanas in their natural habitat, with no more than one mile of walking. The park’s visitor centre has refreshments available as well as a gift shop. Tickets can be bought from the beautiful Queen Elizabeth II Botanic Park, where visitors can explore a variety of local flora and fauna, including world-famous orchids and incredible indigenous butterflies. Along the west coast of Barbuda, the Codrington Lagoon National Park plays host to more than 5,000 of these bizarre-looking birds, in addition to a huge variety of other bird species such as tropical mockingbirds, Christmas birds, the West Indian whistling tree duck and a number of other seabirds. 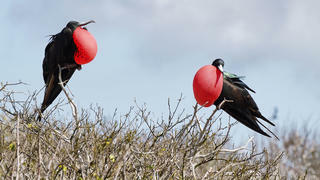 The Frigate Bird Sanctuary is the largest bird sanctuary in the Caribbean, and is only accessible by boat. The lagoon, which stretches over 3,600 hectares, is an official Ramsar Convention on Wetlands site and home to more than 170 bird species as well as the frigate birds. Sea taxi tours of the lagoon with authorised operators from the Codrington jetty are available daily (though they need to be arranged in advance), but the best time to visit is during the mating season, from September to April. The Frigate Bird Sanctuary is the perfect stop off for animal-lovers visiting on a private yacht or chartering a superyacht in Antigua and Barbuda. Along the west coast of Barbuda, the Codrington Lagoon National Park plays host to more than 5,000 of these bizarre-looking birds, in addition to a huge variety of other bird species such as tropical mockingbirds, Christmas birds, the West Indian whistling tree duck and a number of other seabirds. The Frigate Bird Sanctuary is the largest bird sanctuary in the Caribbean, and is only accessible by boat. The lagoon, which stretches over 3,600 hectares, is an official Ramsar Convention on Wetlands site and home to more than 170 bird species as well as the frigate birds. Sea taxi tours of the lagoon with authorised operators from the Codrington jetty are available daily (though they need to be arranged in advance), but the best time to visit is during the mating season, from September to April. The Frigate Bird Sanctuary is the perfect stop off for animal-lovers visiting on a private yacht or chartering a superyacht in Antigua and Barbuda. Unlike a zoo, the Barbados Wildlife Reserve allows visitors to walk among the animals in their natural environment. Located in a natural mahogany forest, visitors are likely to see Barbados green monkeys, brocket deer, agoutis, armadillo and caimans. 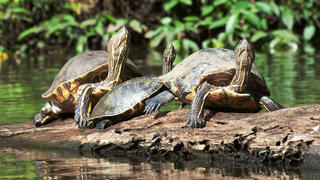 Reptiles such as iguanas, red-footed turtles and tortoises also call the reserve home, as well as a range of different snake species. There is also an aviary with parrots, peacocks, pelicans, flamingos and a number of other species that visitors can stroll through. Both Farley Hill National Park and the Grenade Hall Forest and Signal Station attractions are extremely nearby and well worth a visit if you’re heading to buzzing Barbados. Unlike a zoo, the Barbados Wildlife Reserve allows visitors to walk among the animals in their natural environment. 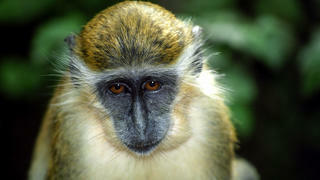 Located in a natural mahogany forest, visitors are likely to see Barbados green monkeys, brocket deer, agoutis, armadillo and caimans. Reptiles such as iguanas, red-footed turtles and tortoises also call the reserve home, as well as a range of different snake species. There is also an aviary with parrots, peacocks, pelicans, flamingos and a number of other species that visitors can stroll through. Both Farley Hill National Park and the Grenade Hall Forest and Signal Station attractions are extremely nearby and well worth a visit if you’re heading to buzzing Barbados. Covering 3,060 hectares, the vast majority of which is offshore, the vast Saint Martin National Nature Reserve is something everyone must do in the islands. Closer to the shoreline, starfish, crustaceans, sea urchins and a variety of small fish can be spotted, while further out to sea visitors might see dolphins and humpback whales from February to June. A real haven for bird watchers, you can expect to see a variety of seabirds such as terns, northern gannets, herons, pelicans and frigate birds to name a few. 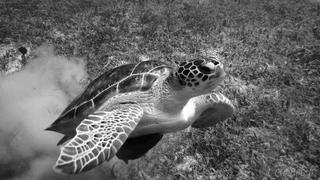 Additionally, sea turtles and iguanas are often sighted around the coast. Visitors can explore the park by car, on foot via one of the nature trails, or beneath the surface of the water by scuba diving and snorkelling. Covering 3,060 hectares, the vast majority of which is offshore, the vast Saint Martin National Nature Reserve is something everyone must do in the islands. Closer to the shoreline, starfish, crustaceans, sea urchins and a variety of small fish can be spotted, while further out to sea visitors might see dolphins and humpback whales from February to June. A real haven for bird watchers, you can expect to see a variety of seabirds such as terns, northern gannets, herons, pelicans and frigate birds to name a few. Additionally, sea turtles and iguanas are often sighted around the coast. Visitors can explore the park by car, on foot via one of the nature trails, or beneath the surface of the water by scuba diving and snorkelling.